DILI (30 July 2017) – Recognising the significant impact of club licensing regulations as a game-changer in raising the standards of football development, the AFC Futsal and Beach Soccer Committee has decided today to introduce the AFC Futsal Club Licensing Regulations. The new club licensing system, which aims to enhance the professional landscape and quality of club futsal in Asia, will be implemented in the domestic leagues and subsequently in the AFC Futsal Club Championship to further enhance the growth of the competition. Chairman Ali Kafashian Naeini (Iran) opened the third meeting in Ho Chi Minh, Vietnam by praising the highly-impressive AFC Futsal Club Championship Vietnam 2017 currently ongoing. On the eve of the championship finals, Members were unanimous in praising the competition and organisation expertise of the Vietnam Football Federation and the Local Organising Committee. Following the highly-successful AFC Futsal Championship Uzbekistan 2016, the Committee also agreed to award the hosting rights of the next edition in 2018 to Chinese Taipei. As part of its commitment to further expand the game to new territories, the Committee agreed the decision will strengthen the hosting capabilities of the Member Association and leave a lasting legacy on the future development of futsal in the country. The Committee also awarded the hosting rights of the 2018 edition of the AFC Women’s Futsal Championship to Thailand. The first-ever competition in Malaysia in 2015 was an overwhelming success, positioning the AFC at the forefront of women’s futsal development, not only in the Continent, but across the globe. The 2019 edition of the AFC U-20 Futsal Championship will now include a new qualification competition, which will be segregated into five Zones, similar to the format currently used for the various AFC Futsal Championship competitions. The final competition will comprise twelve teams – top eleven teams from the qualification competition – as well as the host country, who will now receive an automatic place in the finals. 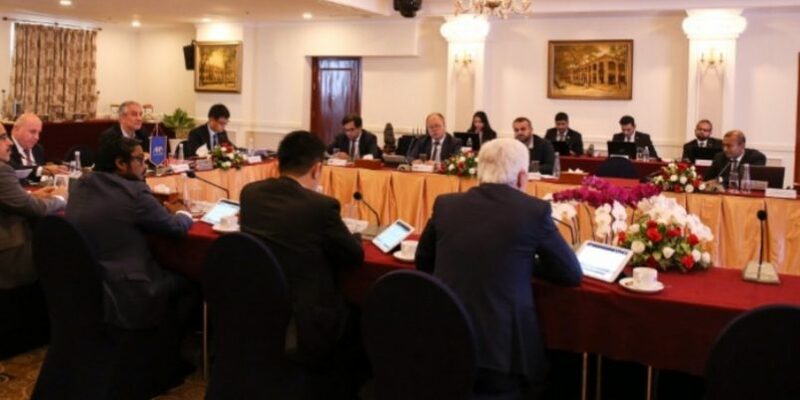 In the area of development, the Committee also recommended the introduction of a set of minimum coaching requirements for the upcoming AFC Futsal and Beach Soccer Competitions to ensure all participating teams are equipped with the capabilities and skill sets to meet demands of the modern game.